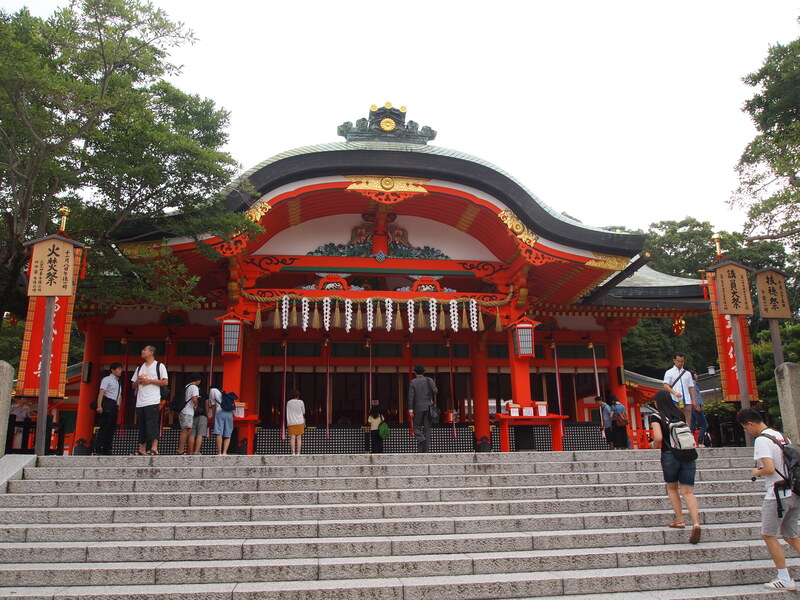 Our first destination of the day was Fushimi-Inari-Taisha, a Shinto shrine dedicated to Inari, the Shinto god of grains (mainly rice). 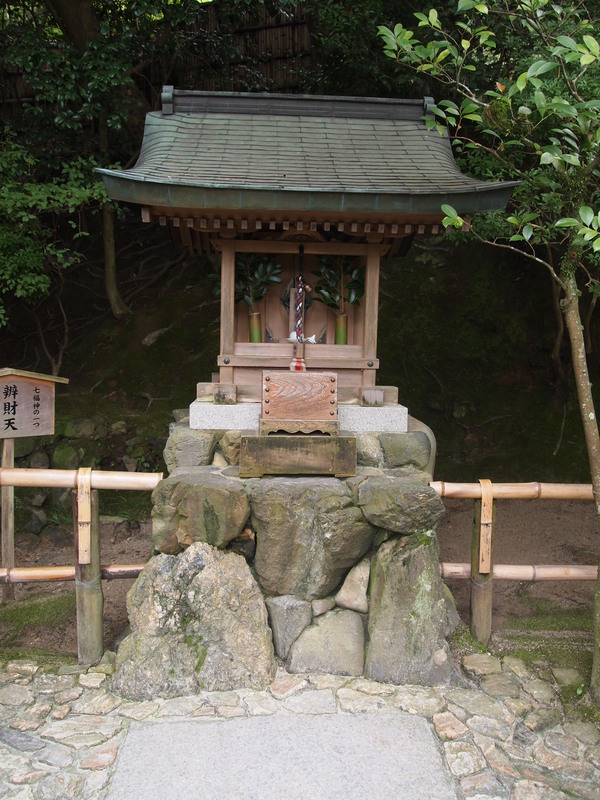 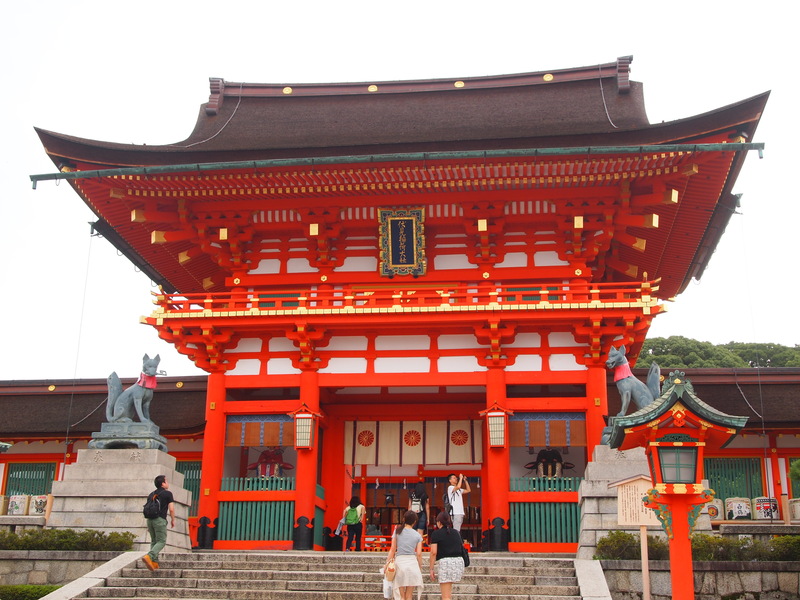 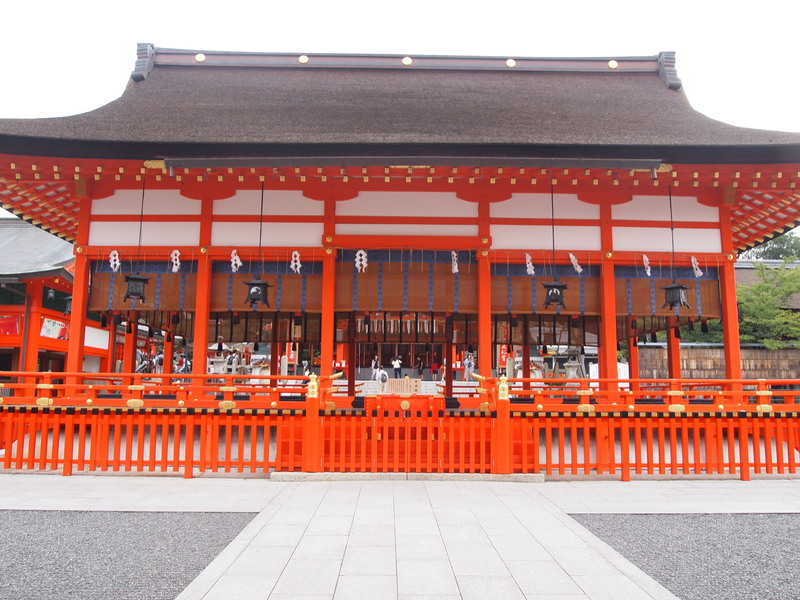 It was dedicated in the 8th century and is the head shrine for about 40,000 Inari shrines in Japan. 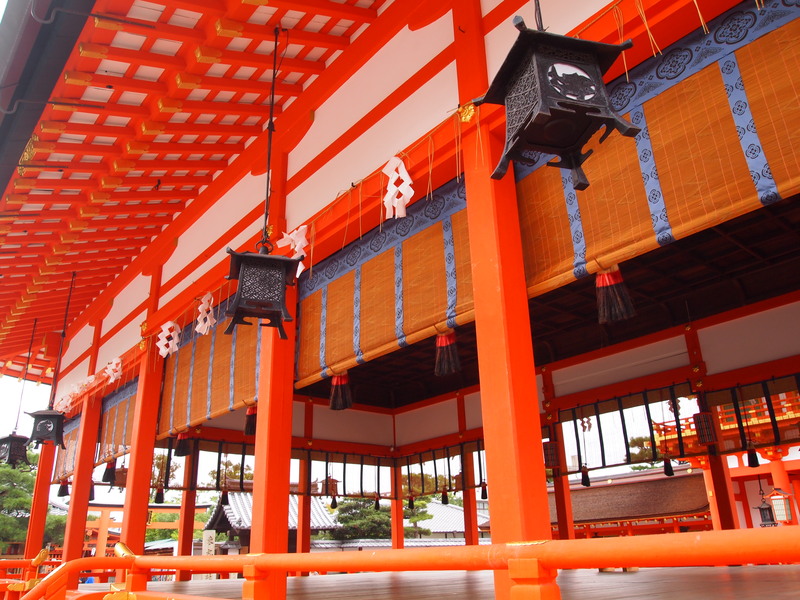 As the role of agriculture declined, Inari’s role as god of grain shifted to god of prosperity in business. 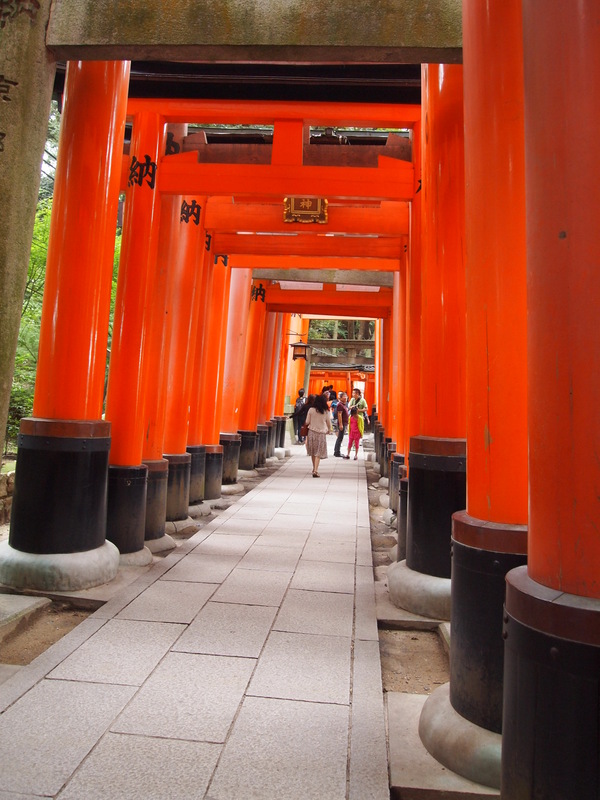 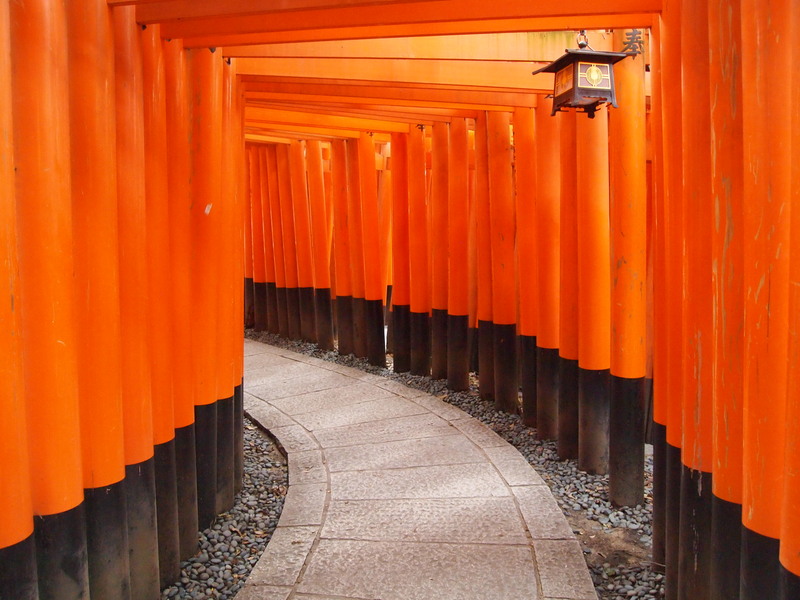 Fushimi-Inari-Taisha is most popular for its vermilion torii gates which shade a series of paths that go all the way up Mount Inari. 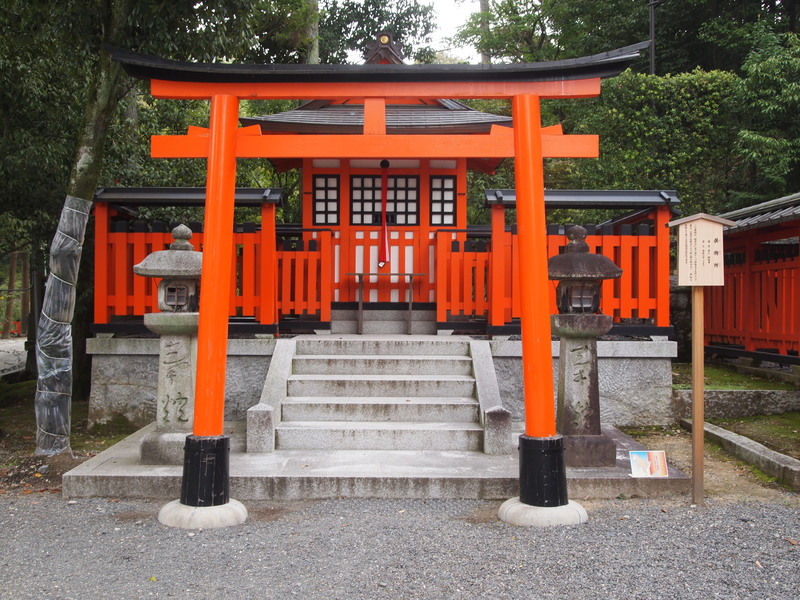 The torii gates are donated by individuals, families, or businesses who are thankful for their success or hope to acquire it. 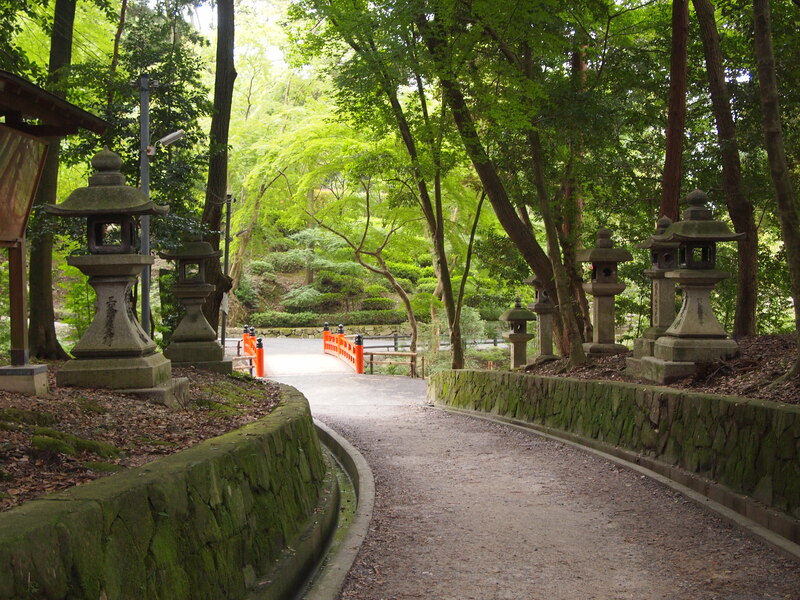 Walking through the gates is lovely. 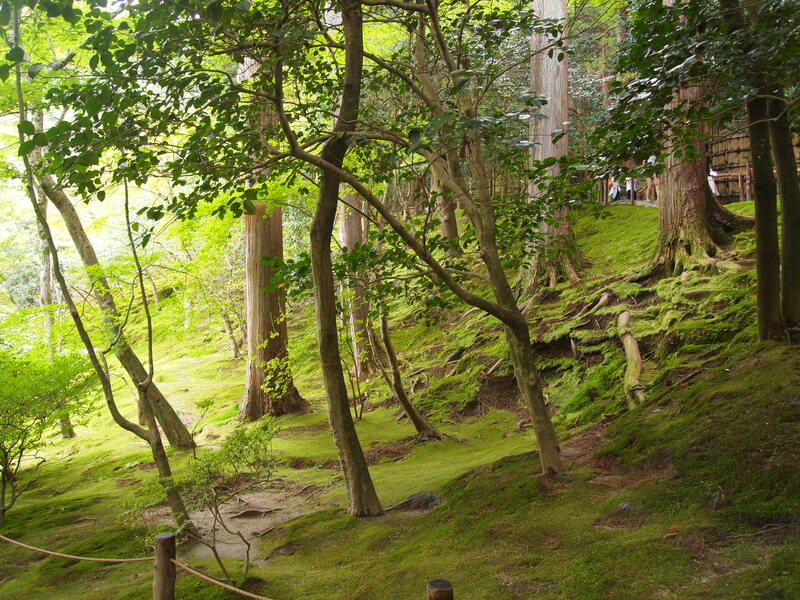 On an early morning hike without many tourists it would be divine. 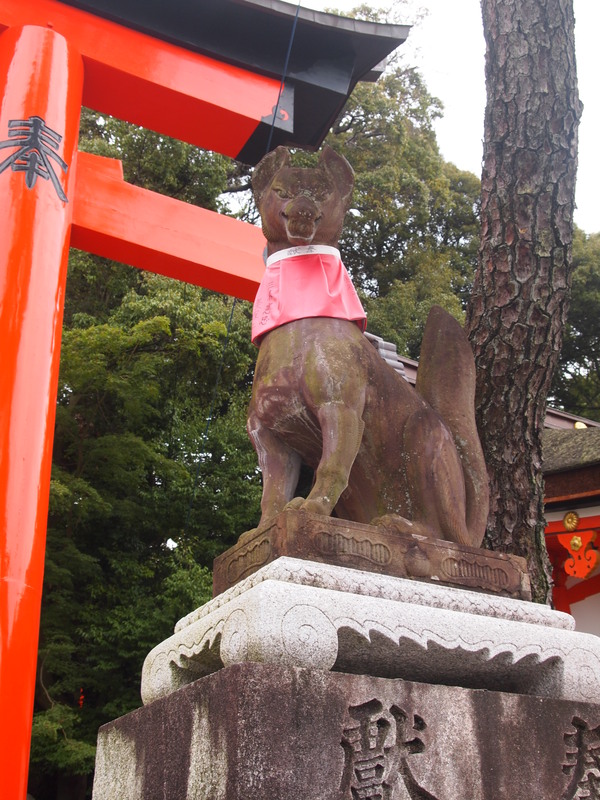 Another symbol of Fushimi-Inari is the fox. 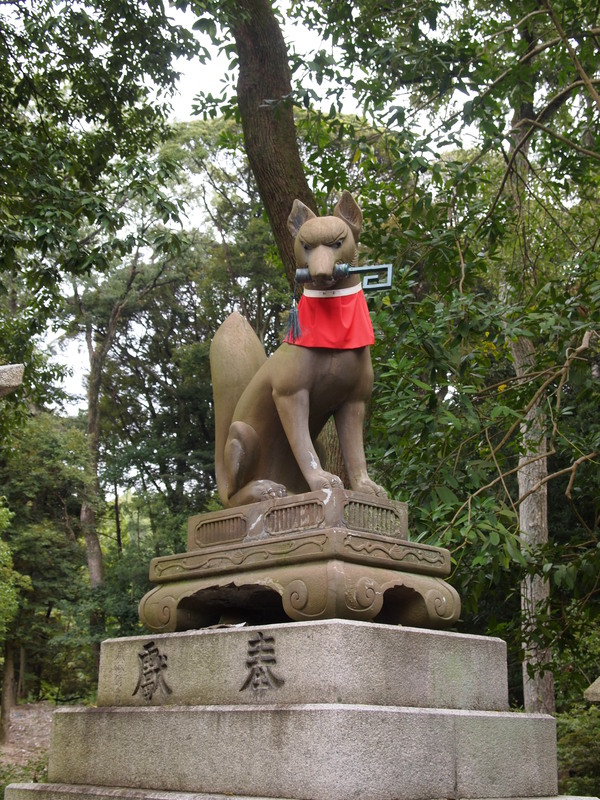 Foxes are believed to be Inari’s messengers so there are statues of foxes all over the shrine. 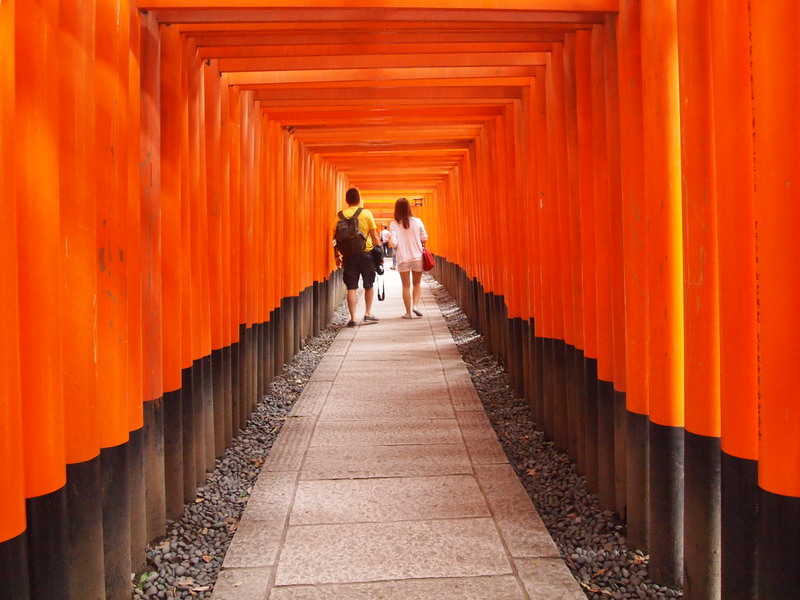 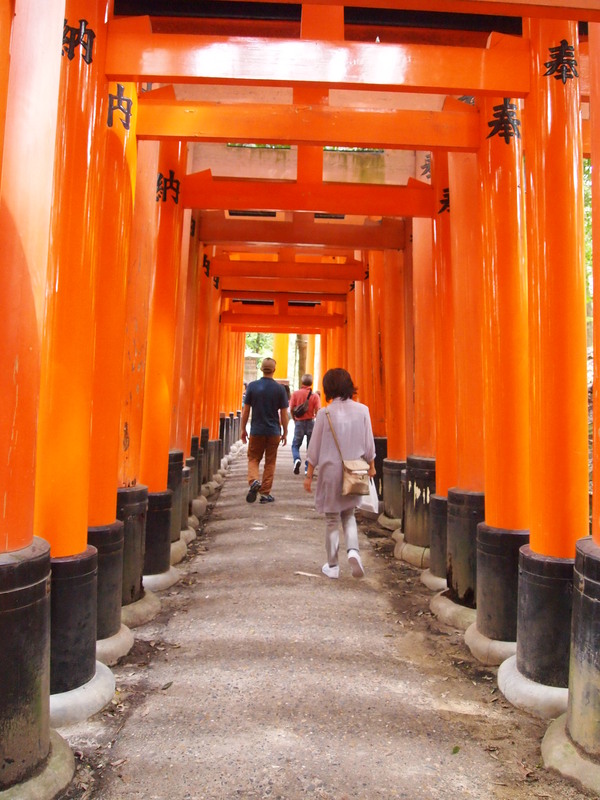 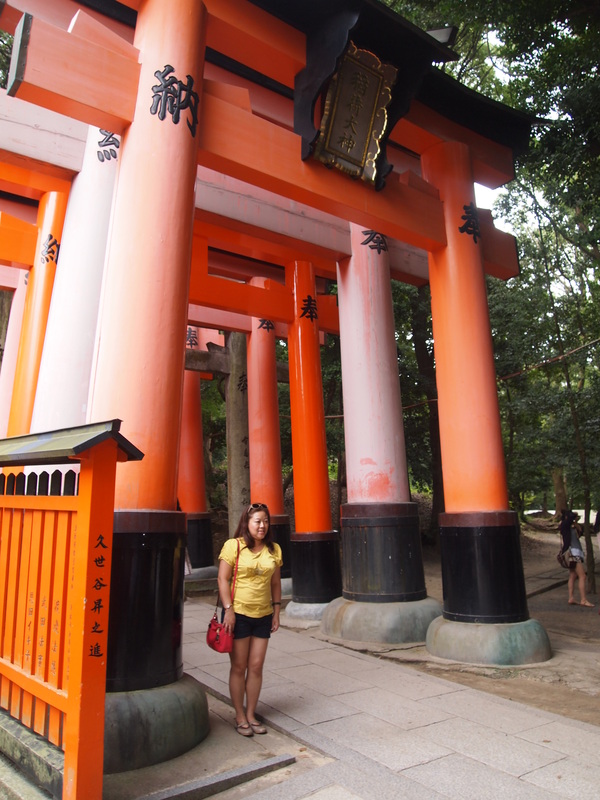 I would have enjoyed staying at Fushimi Inari longer than we did. 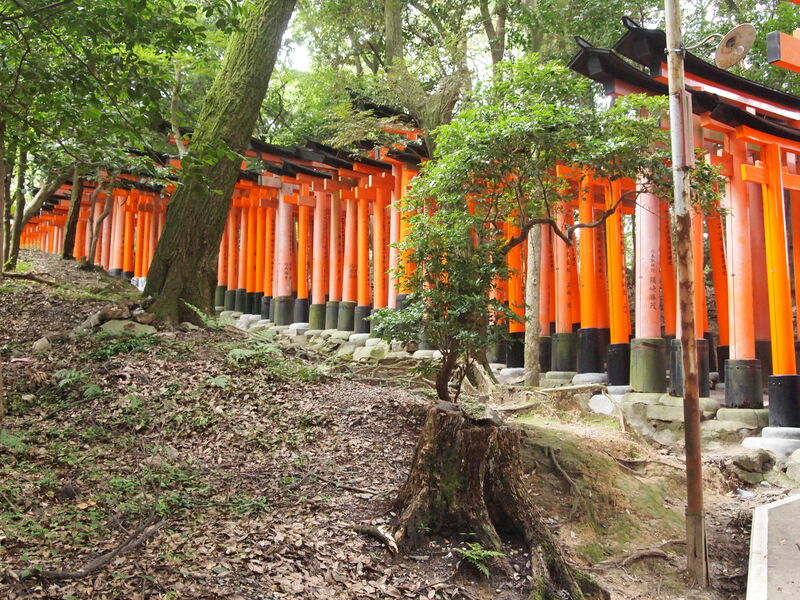 Next time we’ll plan on going early in the morning and hiking up Mount Inari. 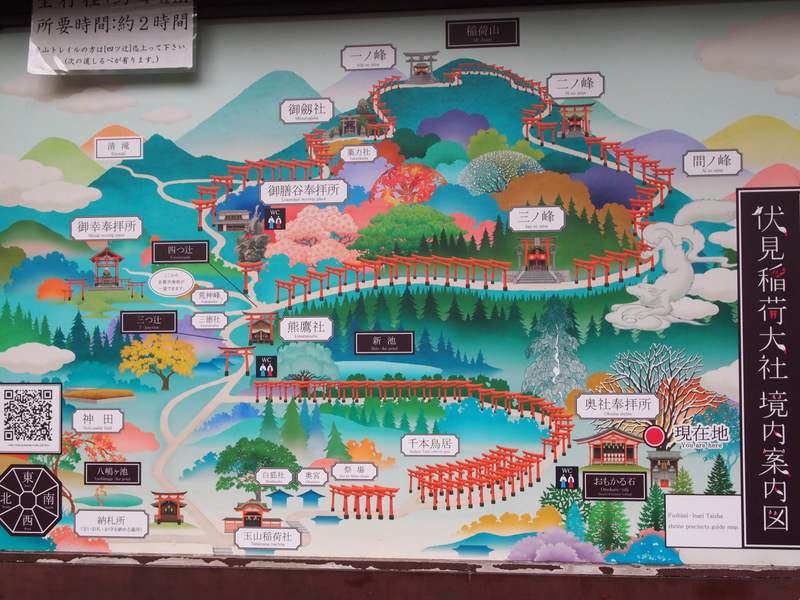 We hiked a little ways up the trail before turning off to go back into town. 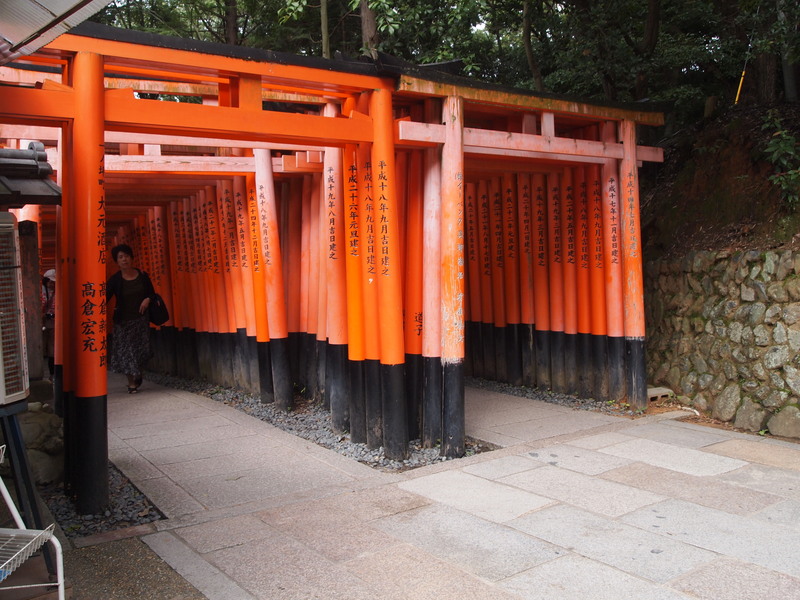 We left Fushimi Inari and decided to try and squeeze in one more big site. 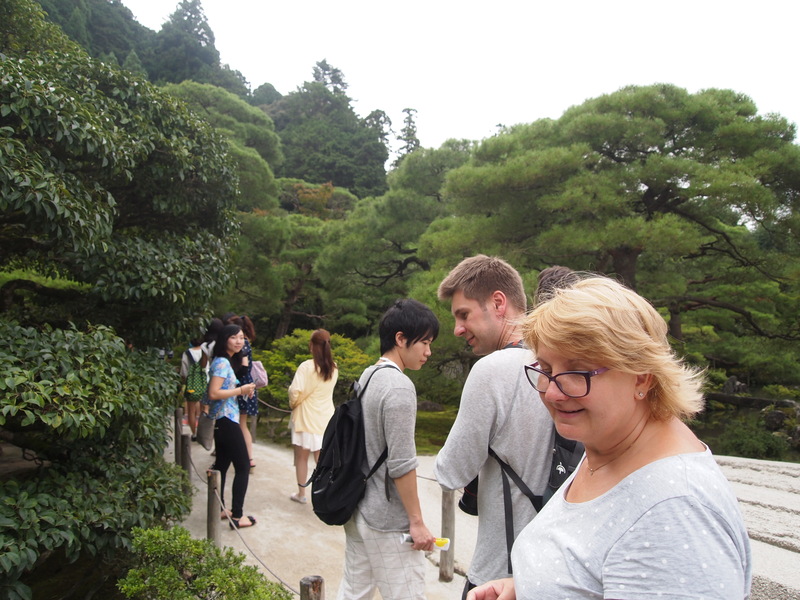 We didn’t have the option to be picky because we were on a time crunch so we chose Ginkaku-ji, one of Kyoto’s most famous temples. 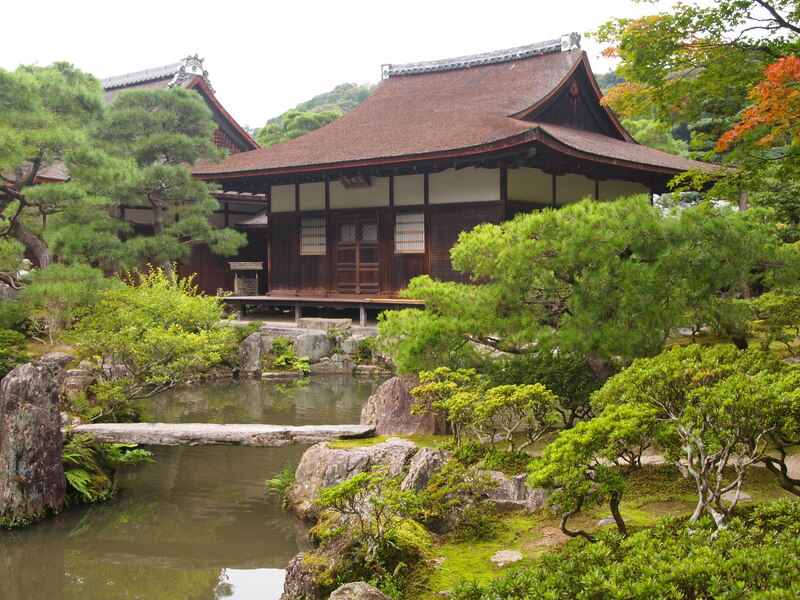 Ginkaku-ji, or the Silver Pavilion, was established in 1482 by shogun Ashikaga Yoshimasa as a place to spend his retired life. 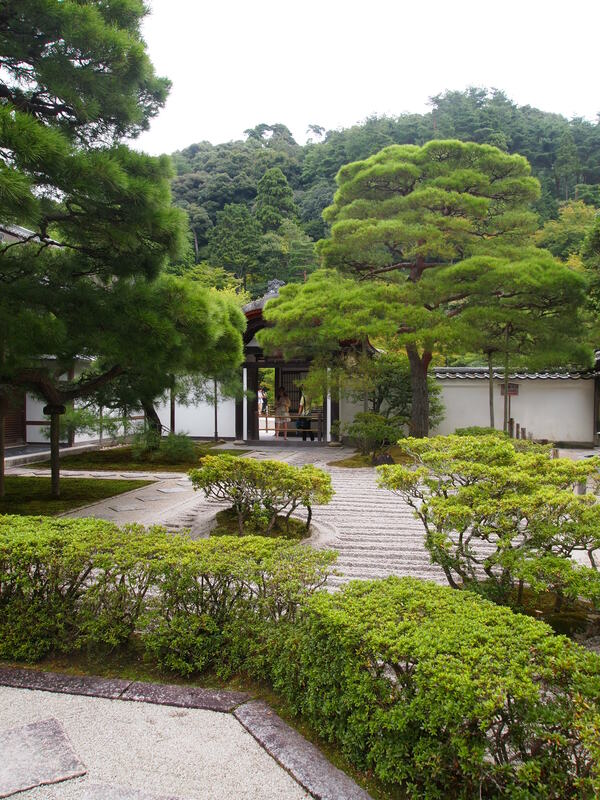 He modeled the villa after his grandfather’s retirement villa, Kinkaku-ji (or the Golden Pavilion, another of Kyoto’s famous temples). 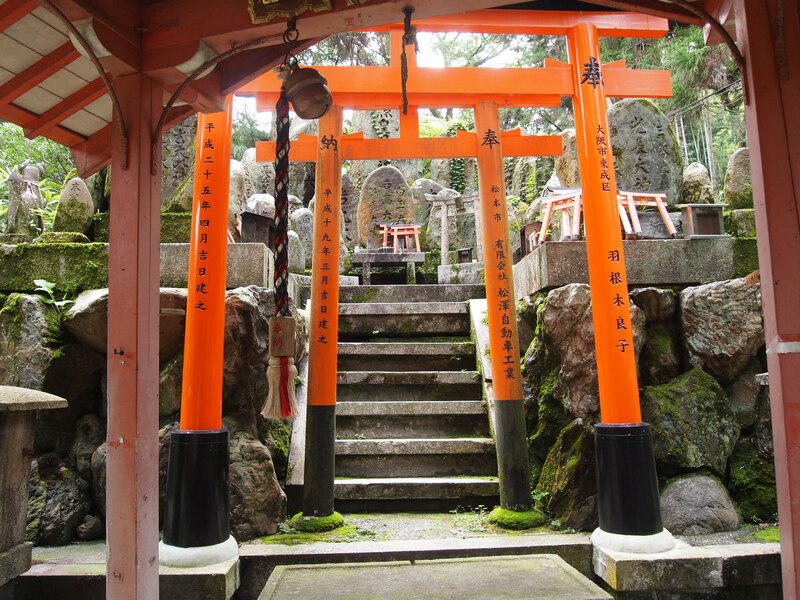 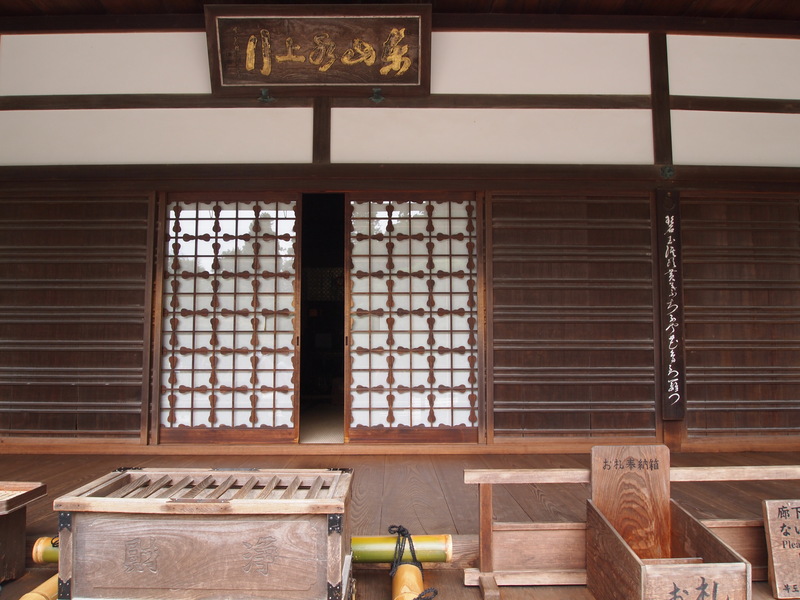 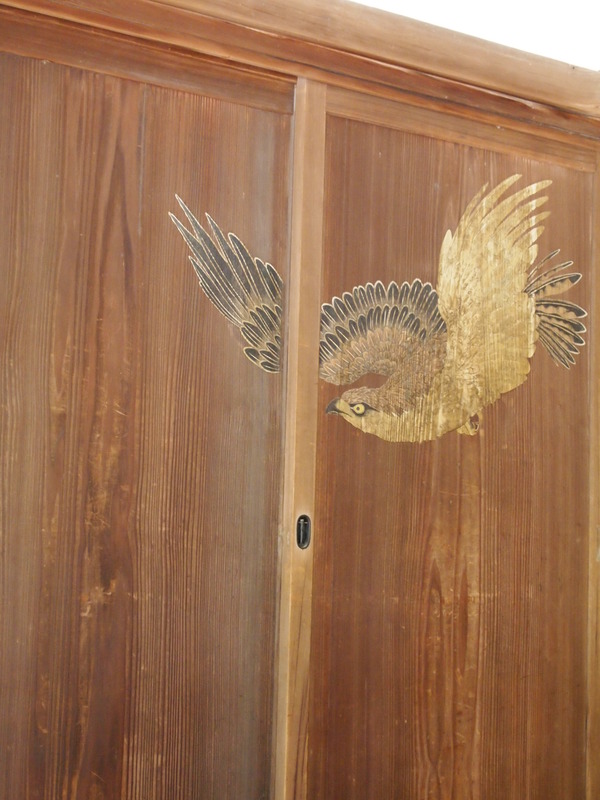 After Yoshimasa’s death the villa was converted to a temple. 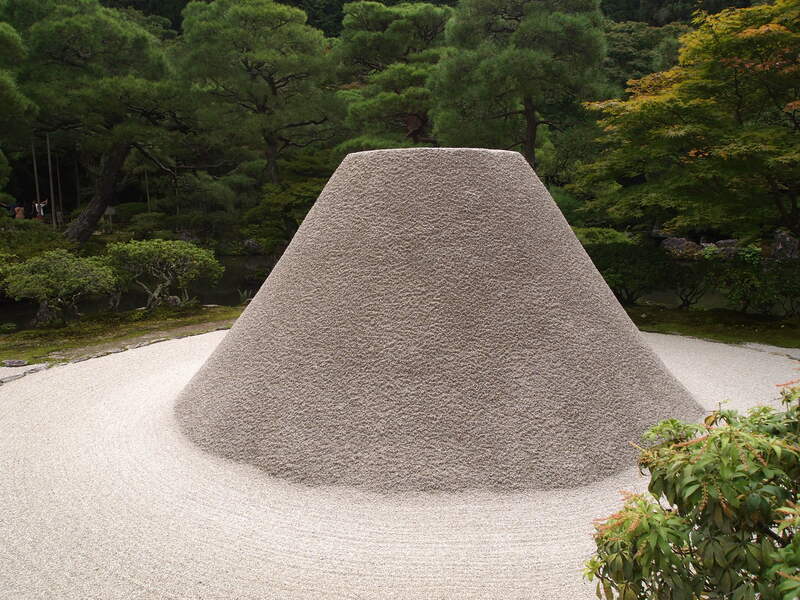 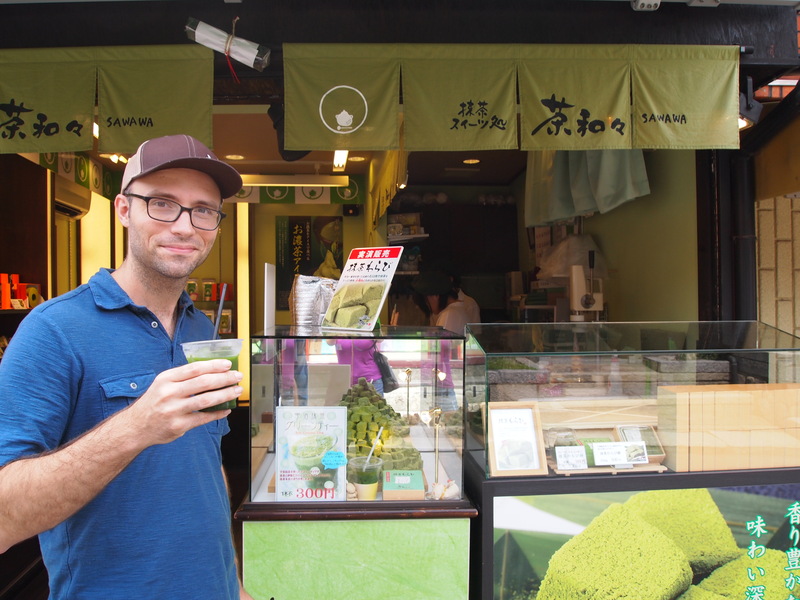 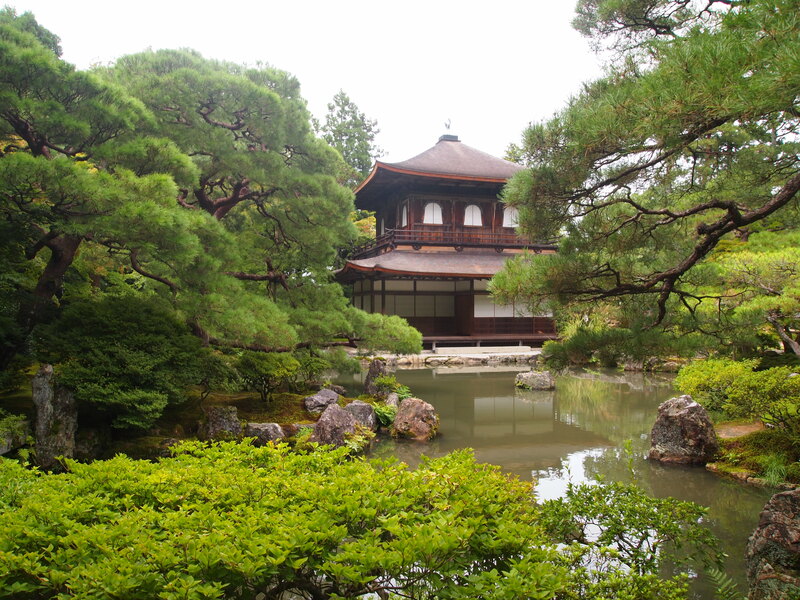 Had we followed the advice of our guidebook we wouldn’t have visited when we did – around noon – because it’s such a small area that the crowds really do detract from the zen and take away the pleasure of visiting. 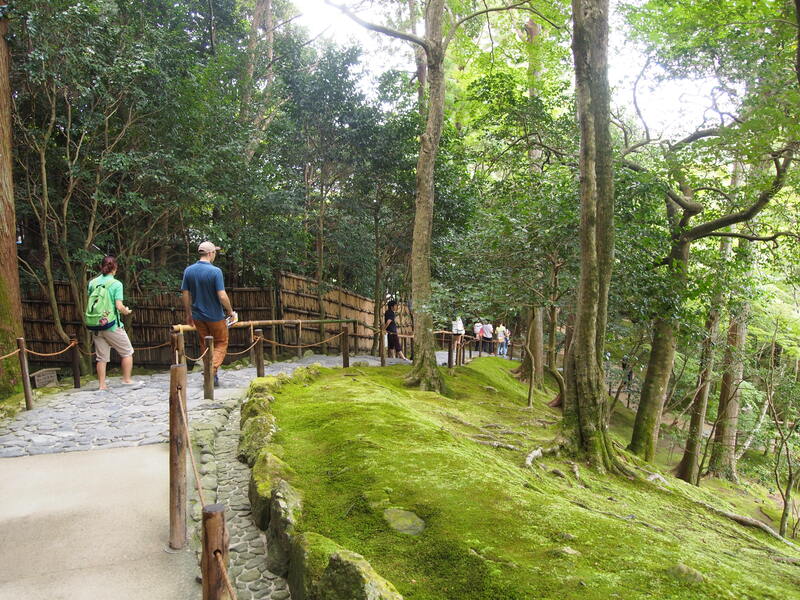 Needless to say, we weren’t very impressed because of the amount of other visitors. 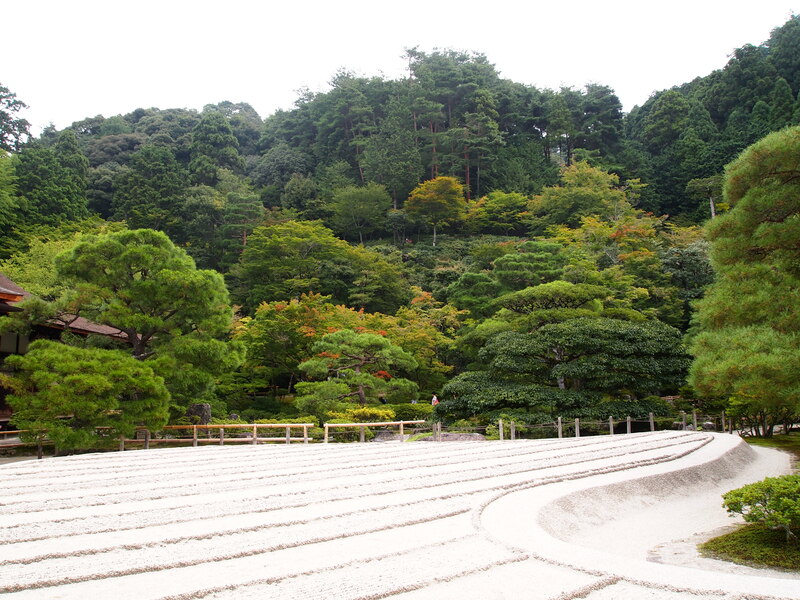 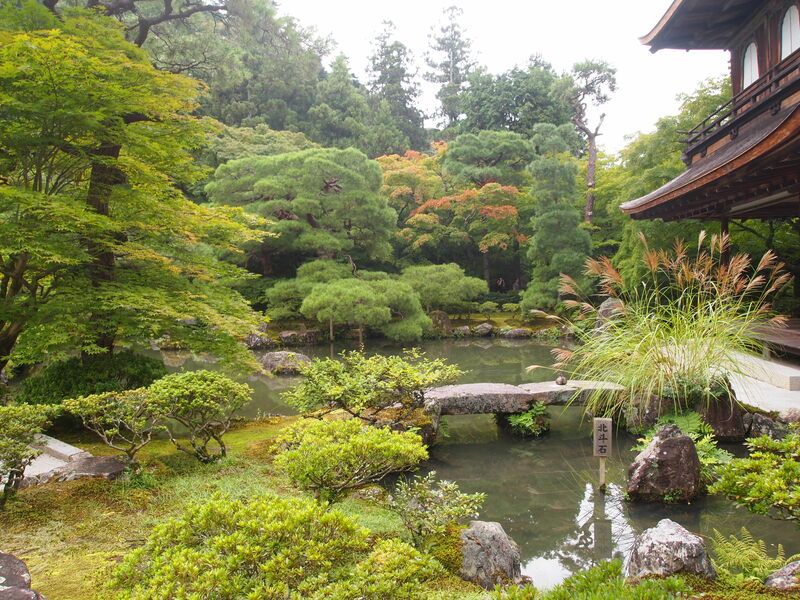 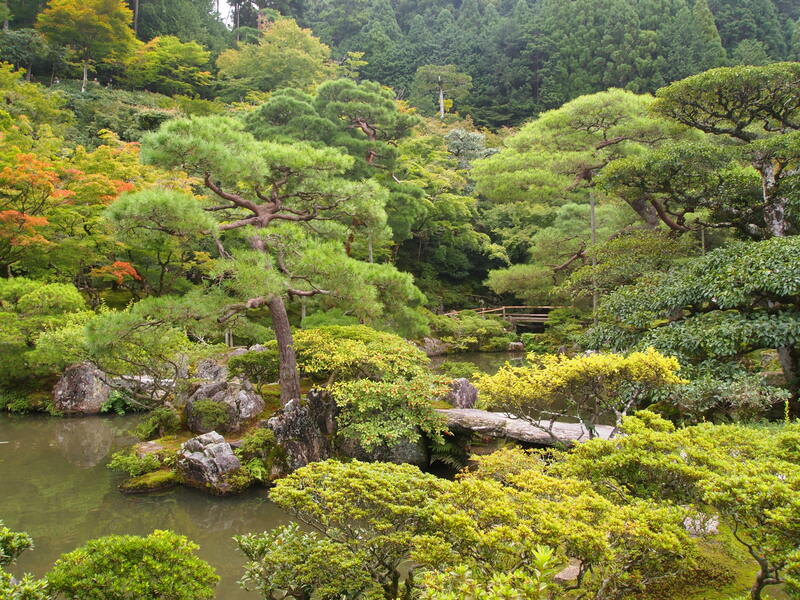 However, looking back at our photos, I do agree that Ginkaku-ji is one of the most beautiful temples in Kyoto. 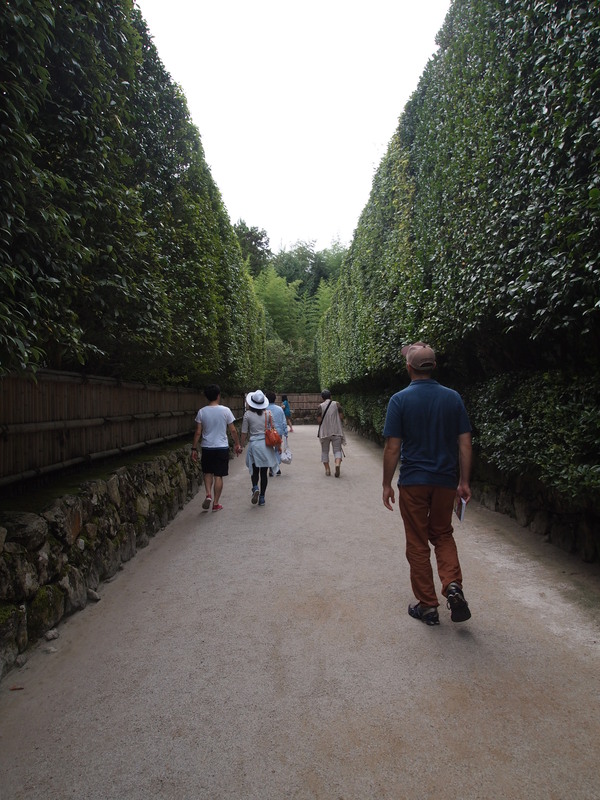 The surroundings have so much influence on your experience though. 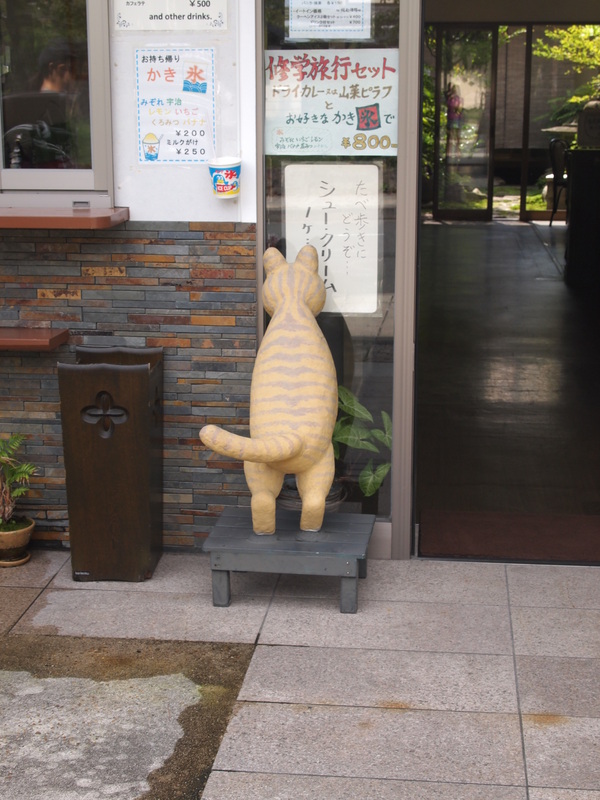 If we go back, I would go in the morning when it first opens. 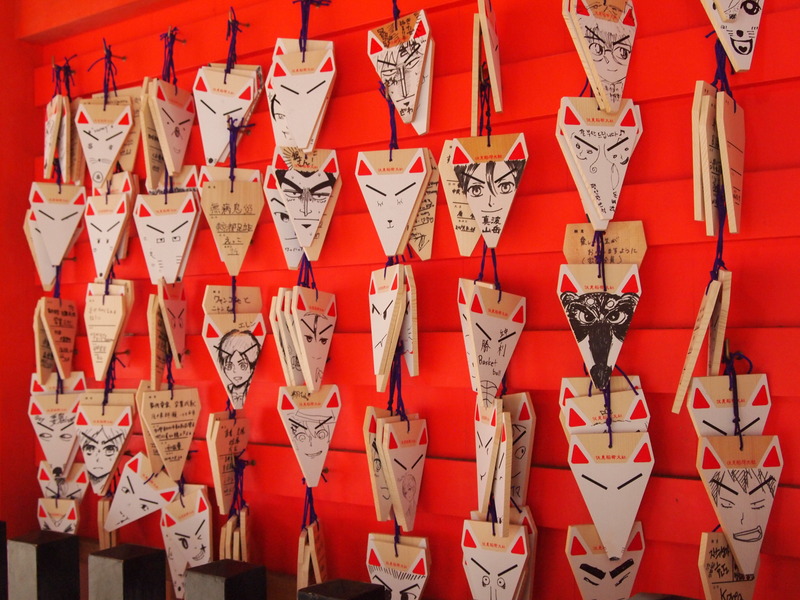 I think the experience would be much more rewarding. 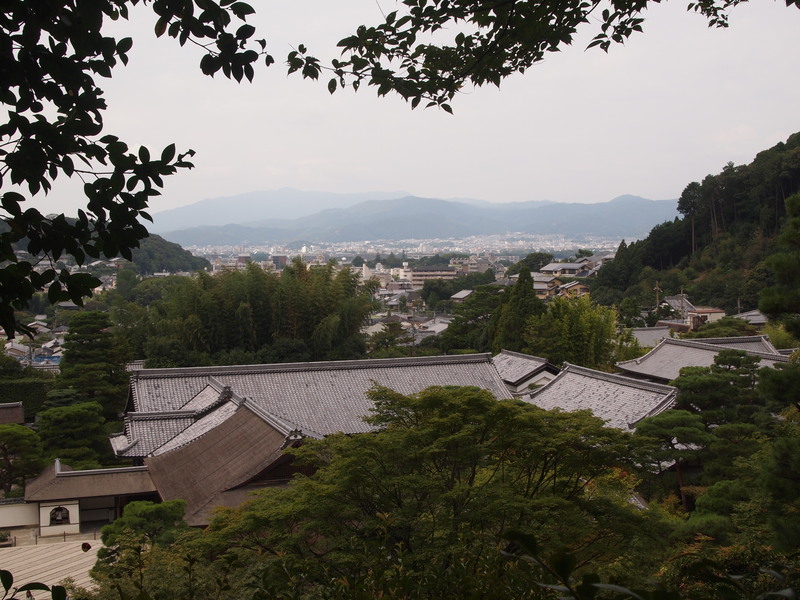 After we left Ginkaku-ji we went back to our hostel to pick up our bags and got on the first of several trains that would take us to Koyasan. 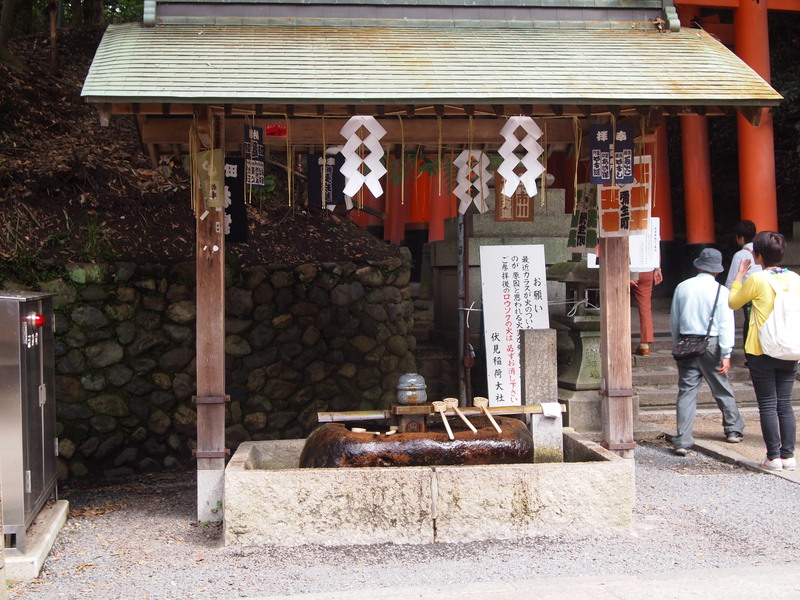 I’ll leave that tale for another post.